All of us drivers are very well aware of how rapidly the number of vehicles on the roads increase on daily basis. Not only the traffic is becoming more frequent, the speeds are increasing too, either due to people always being late or faster and faster cars being produce. Regardless of the cause, staying safe on the roads should be everyone’s priority. This is a team effort and each and every driver needs to contribute. Therefore, here are several suggestions on how to improve road safety applicable to all kinds of vehicles and driving experience. 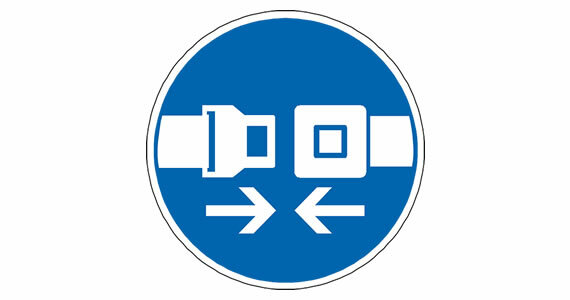 Make fastening your seatbelt the first thing you need to do before turning the engine on. And do it every time you drive. Every time. It does not matter whether you are going for a long ride or merely around the corner to get some eggs from the nearby shop. Seatbelts save lives and it is the least you can do for your personal safety. After all, how can you expect someone else to look after you when on the road if you fail to do such a simple thing as fastening a seatbelt is. Yes, another no brainer, most of the drivers would say. Then, how come there are so many fatal accidents with speeding as a cause? Risking yours and other people’s lives just because you are late for a meeting or want to get to the show five minutes earlier makes absolutely no sense. 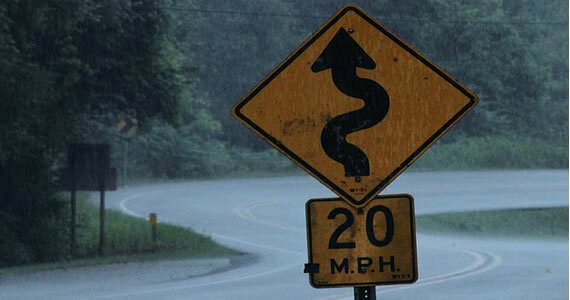 Furthermore, if the sign says 50, or 70, or 90 for that matter, it does not mean that you have to drive as fast. Relax, slow down 5 mph and immensely improve safety by this simple action. Do not text and drive, do not talk on the phone unless you use a hands free kit and do not reach for a sandwich at a glove department. Keep your eyes on the road at all times. You need to be aware of everything that is happening on the road, sometimes you will have to react to other people’s mistakes. 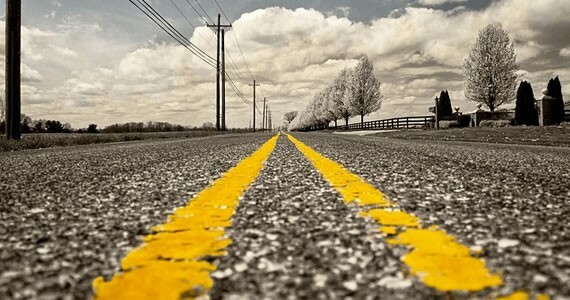 Furthermore, proper road line marking makes a world of difference and is very helpful in improving road safety. There is nothing worse than an unmarked road on a dark and rainy day. Therefore, keep your eyes open. Driving under the influence of alcohol or any psychoactive substance is an incredibly risky activity. Your reflexes, vision, orientation abilities and motor skills will all be highly influenced and the odds of being involved in some kind of an accident will skyrocket. Relying on the false feeling of supremacy that occurs in a large number of cases when alcohol and drugs consumption is in question lead to too many traffic accidents. Do not be a part of that lethal circle, drive with a clear mind and blood. Remember the rule, two hours of driving demand at least a 15 minute break. Stop for a cup of coffee, stretch your legs or drink some water or juice, whatever recuperates you best and only then continue to drive. Also, before going long-distance make sure you have a good night sleep. That is an absolutely required precondition. All these suggestions may seem familiar and common knowledge, but not implementing only a single one of them enormously increases a chance of an accident. Driving is a responsible activity and should be treated as such. If there are kids and spouses and involved, a road trip shouldn’t be all about spontaneity. Pick stopping points for each night and throughout the day based on the progress that you’d like to make. Look for areas with varied lodging options and decent food close by. Nothing turns a journey into a nightmare faster than a dead alternator or a busted CV joint. Take your vehicle to a mechanic a week or two before the trip and have them inspect it. A few bucks spent on preventative maintenance can save thousands down the line. When planning your drive, be sure to give yourself plenty of breathing room in the timetable department. There will always be unexpected delays that eat up time. Factor in stops at rest stations for the purposes of stretching your legs and staving off highway hypnosis. At a minimum, your trunk or cargo area should be stocked with a floor jack, a full spare tire and some road flares. An emergency tire patch kit as well as some flashlights are always great choices. While you’re at it, stock some non-perishable food items such as energy bars and water in case you get stranded for a short time. You should always have a car emergency kit on hand, especially while on a road trip. The worst time to find out that your debit card has been frozen is when you’re hundreds of miles from home. Keep an array of cards on hand in case one is denied. Take out a few hundred dollars in cash and hide it in your car for worst-case scenarios. Cell phone reliability varies greatly from region to region. A set of walkie-talkies will keep you in touch if you’re traveling in tandem with another car or stopped for the night at a camp ground. Install a few messaging apps on your phone in case you have to rely on public Wi-Fi for communication. A little planning goes a long way when you’re embarking on a cross-country trip. A lot can go wrong when you least expect it, after all. For example, car accidents can ruin any road trip. A professional like Farhan Naqvi should be contacted right away if you were injured due to someone else’s neglect. Even with all the right precautions, you can’t predict what other truck drivers will do if they are being a careless driver. If you heed the tips laid out above, you’ll greatly improve the odds of an incident-free road trip. It is a jungle out on the streets today. People become injured and then get carried away in an ambulance with sometimes serious injuries. Even if you do not find yourself directly involved in an accident, flying debris and other factors pose dangerous situations to you in the course of travel. Amidst all the danger, you may be wondering how it is possible to minimize your risk when traveling. 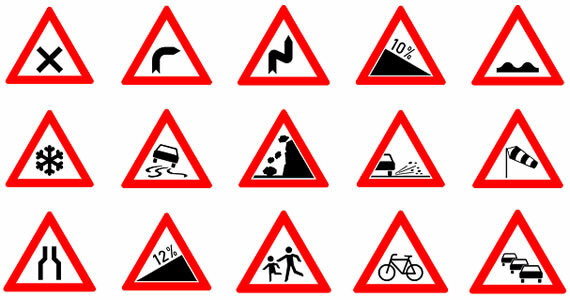 Here are a few tips that will help to keep you safer on the road. If you are trying to make your way across town, one of the safest ways to get from place to place is by way of public transportation. When you ride public transportation, you are typically being transported in a larger vehicle. The person behind the wheel has not only had to prove themselves as a driver, but they also tend to be extremely familiar with the route they are taking. These drivers become used to the tricky intersections and what to do to avoid dangerous outcomes for their passengers. In the case of public monorails and trains, these modes of transportation avoid intersecting with the normal flow of traffic. This also helps to minimize potentially dangerous outcomes for passengers. Walking is a relatively safe way to get around town, provided that you are attentive to what is going on around you. Being aware of traffic is key to safely walking around a city. Not using mobile devices when you walk is another huge safety factor to keep in mind. It is difficult to observe what is taking place around you when your eyes are glued to a mobile device. Even though it is the law to use a seatbelt in most jurisdictions, people still refuse to strap themselves in securely when they drive. Although injury is possible when wearing a seatbelt, wearing a seatbelt will prevent more serious injuries to yourself and others in the car. On impact, a freely moving body will not only impact with the car, but might also impact with others in the car. This problem can give rise to numerous unnecessary injuries that seatbelts help to guard against. Many cities are home to thousands of drivers, pedestrians and tourists alike. You can travel the city streets in search of fortune or to make a productive life for yourself. Unfortunately, you may also find yourself involved in an accident while traveling about the city. When injury is unavoidable, it is important to remember that a qualified injury attorney will be able to guide you in the best course of action to receive compensation for your pain and suffering. Las Vegas Car Accident Lawyers say that an experienced attorney can help you recover damages. Safety is a primary concern when traveling. From being alert on the road to navigating around the most dangerous intersections in town, every precaution you take may prove to be a life saving effort on your part. Remember, keeping safe when traveling is a major factor to preventing injury to self and maintaining a superb quality of life. Road trips are great adventures. But whether you know exactly where you’re headed or are going wherever the wind takes you, there are plenty of things to keep in mind for your own safety, and that of your travel companions. Before you leave, have your vehicle checked for wheel bearings that may come loose, transmissions that may fail, and anything else that could break down. That way, you can repair what needs to be done before your trip, saving you a potential breakdown. A Colorado hit and run attorney says if your trip will take longer than a week, it is always a good idea to have the numbers of a few local repair places in every city you plan to visit on your journey. You should also carry a spare tire and toolbox just in case you get in a car accident in Colorado or a flat tire along route 66. Don’t advertise your tourist status on your face or your vehicle. Looking confused with your face glued to a guidebook, and leaving a map on the dashboard of your parked car are bad ideas and will show that you are not from the area. Instead, look like a local. Walk as if you know where you are going, be confident when asking locals for information, and keep your maps and travel plans in the glove compartment. Park your car close to your hotel room where you can watch it from the window. The same goes for when you stop at a restaurant. You may feel silly asking to be reseated so you can be near the window with your car, but it is far better than having something get stolen while you’re eating. If you have valuables you can bring into your hotel room with you from the car, it is safest to keep them with you. If you know what cities you will be going to, book your hotels in advance and check the reviews. Don’t book a motel that seems like it’s in a bad area. Take note of any cancellation policies just in case you need to cancel a reservation during your travels. If you don’t know where you’re staying in advance, make sure the lodgings you find during your travels are safe and sanitary. If you find a small motel with a sign that says No Refund for Early Checkout, that likely means they get people leaving in the middle of the night due to unsavory conditions, and staying there may not be in your best interests.